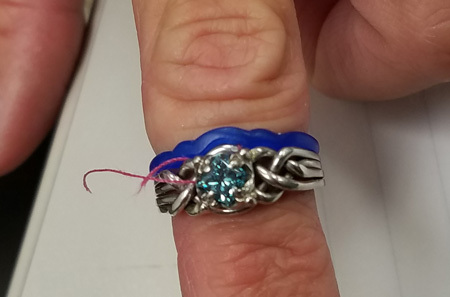 The first step in creating a custom wedding band to mate with an engagement puzzle ring. 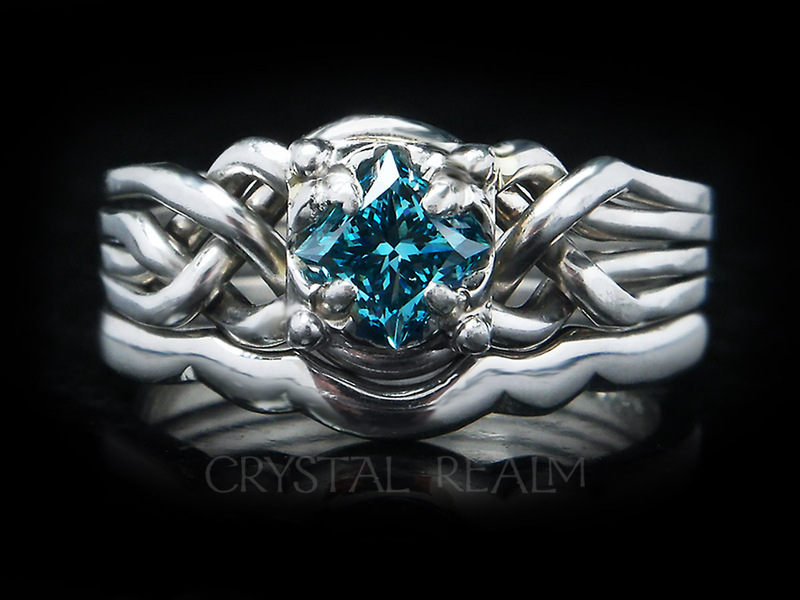 A wax is hand-carved and then cast and finished for a perfect match! platinum puzzle ring with a 1.65mm custom fit platinum shadow band.